Just completed a class sample for this Fall. Mini Pumpkins uses the Quick Curve Mini ruler from Sew Kind of Wonderful. 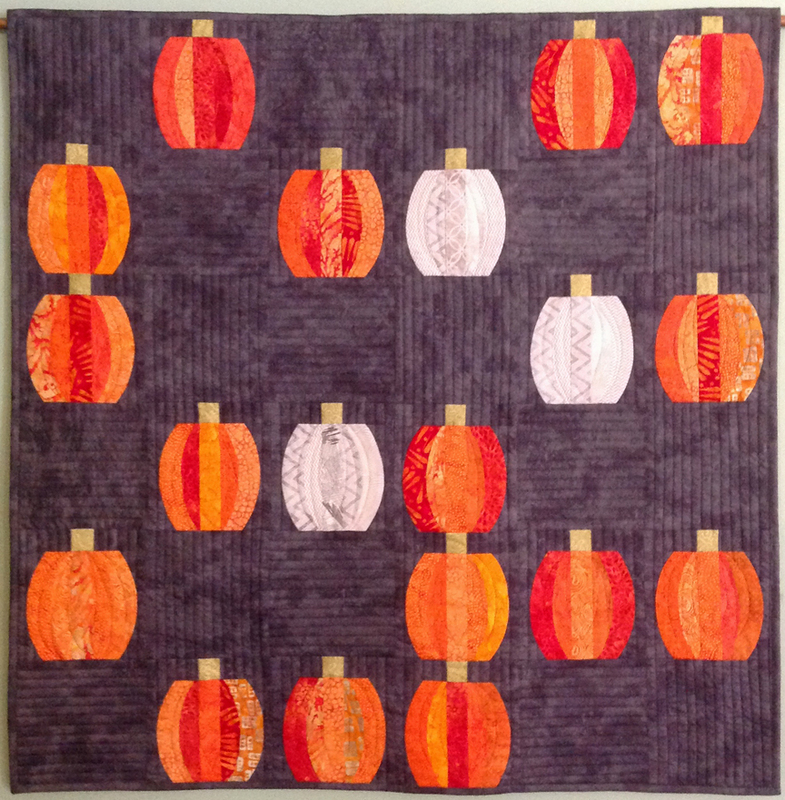 I changed my version of the pattern to have more orange pumpkins. Love how these curves are easy to cut and sew, and with no pins. Want to make one too? Join me for this workshop at Calico Cupboard Quilt Shop here in Victoria on Saturday, September 22, 10 am - 2 pm and you can have some pumpkins too! The complete Fall teaching schedule will be available soon. Sign up for my FREE newsletter so you'll get the notification.